The Edinburgh International Festival may do what it says on the tin by presenting a curated selection of opera, music and dance from around the world, but its theatre section this year is decidedly grown in the British Isles. The Edinburgh Festival Fringe, however, retains its own renown as a global showcase for performance of all genres, and this summer the French capital has arrived in Edinburgh thanks to a Hungarian circus troupe. Budapest’s first contemporary circus company Recirquel has based its internationally successful creation Paris de Nuit on the Parisian cabaret scene of the 1930s as recorded through the lens of another Hungarian pioneer, photographer Brassai. Paris de Nuit is not only a meeting point of international cultures but also of those mixed artistic styles and disciplines that give the fringe its vibrant character. 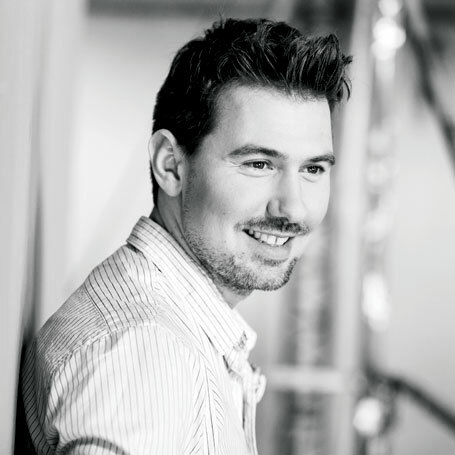 Recirquel’s Hungarian founder and director Bence Vagi began dancing at the age of six. He continued into a professional career after his family moved from Hungary to Germany to escape Communist strictures, but later retired as a dancer in his mid-20s. By that time, Vagi had settled in the UK, where a burgeoning interest in theatre propelled him in a new direction. An undergraduate degree from the Liverpool Institute of Performing Arts in 2003, focusing on cabaret and variety cultures, led Vagi into postgraduate study of musical theatre at the same institution. The international and cross-genre influences that have fuelled his lifelong search for artistic expression are now coming back together in the young director’s return to the UK, with five-year old Recirquel’s UK debut combining dance, theatre, cabaret and circus techniques into one spiegeltent spectacle. Paris de Nuit, named for Brassai’s photographic record of Parisian culture’s dark underside, has already been performed in France, Colombia and Chile, and is the third show from the company’s repertoire. Eschewing traditions of hiring new acts or actors for each show, Vagi has formed a core group of 12 performers who work together on all the Recirquel projects, supplemented in this production by a jazz sextet who also participated in the creative process. Vagi also emphasises the value of learning to watch performance from different points of view. The change in perspective brought about by his childhood move to Germany – and later his experience in Britain – has helped not only with his art, but also with life. Vagi has always been able to take multiple viewpoints towards subject, style and approach, believing that the more countries a person lives in, the more perspectives they have open to them. The deep tradition of Hungarian circus has not been forgotten in Recirquel’s work. One of the oldest circus schools in the world trains children between the ages of 10 and 18 in Budapest, but they emerge with just one act, or ‘number’, to sell and no knowledge about broader pathways for creative use of their talents. The country is now going through a period of transition around the circus arts, but there is no way to change an entire system overnight. This combination of cultures was one of the qualities that first drew the attention of Sharon Burgess, managing director of Assembly at the fringe. After seeing an excerpt of Paris de Nuit last year at CINARS, the biennial performing arts market in Montreal, Burgess was struck by the potential of combining Hungarian circus with a Parisian theme, and by the unusual combination of circus technique and up-close cabaret setting. There will be dancing on tables but there will also be room for human emotions and frailties. Vagi describes how Recirquel is developing a theatrical language that goes beyond admiration of tricks to induce a transformation in their audiences. Edinburgh was where Vagi was first able to experience a variety of contemporary circus in one place, which inspired him to try to create a similar space for this work in his own country. Mupa Budapest is the capital’s ‘palace of arts’, which opened as the largest cultural centre in the country in 2005, and in 2013 Recirquel was the first circus company asked to perform there. It has since become artists-in-residence at the centre, and Vagi works as head of programming for circus, booking in other companies from around the world to perform on the Budapest stage. Many of the other circus shows at this year’s fringe have already passed through Vagi’s theatre, and all have their unique characteristics. Paris de Nuit was suggested as the right show to introduce Recirquel to UK markets by Joseph Seelig of the London International Mime Festival, but the production was too big for the budgets and spaces he had available. 1. The company’s first show, Night Circus, premiered in 2013, followed by Naked Clown in early 2014, with Paris de Nuit debuting in late 2014 as a co-production with Sziget Festival. A smaller show, Non Solus, premiered in 2015. All still tour worldwide. 2. Although the cabaret stylings of Paris de Nuit play to artistic director Bence Vagi’s interests as a one-time Fosse dancer, the decision to create the vibrant work was made by the performing company members as a departure from the melancholic flavour of earlier pieces. 3. A documentary What a Circus! was released earlier this year and charts the company’s preparation for its debut show. It has already garnered two awards for cinematographer Adam Pataki. 4. Recirquel has most recently been working on the closing ceremony for the 17th Fina World Aquatic Championships, directed by Vagi, with 200 circus artists and dancers from 18 different countries. Assembly has a long-standing reputation for creating successful collaborations with overseas companies, and returning to Edinburgh now feels like coming full circle for the 35-year-old director. For Burgess too, the partnership fits well with Assembly’s mission: not only enabling international artists to perform in front of a wider industry audience, but also increasing opportunities for audiences to experience new work and discover new forms of artistic language.